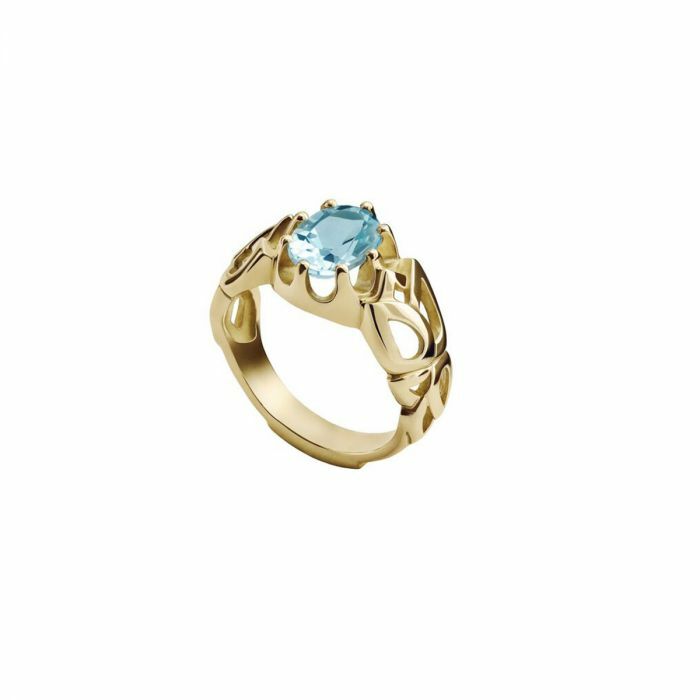 18kt Gold adorned with a 2ct Blue Topaz stone. Also available in Amethyst and Green Amethyst. 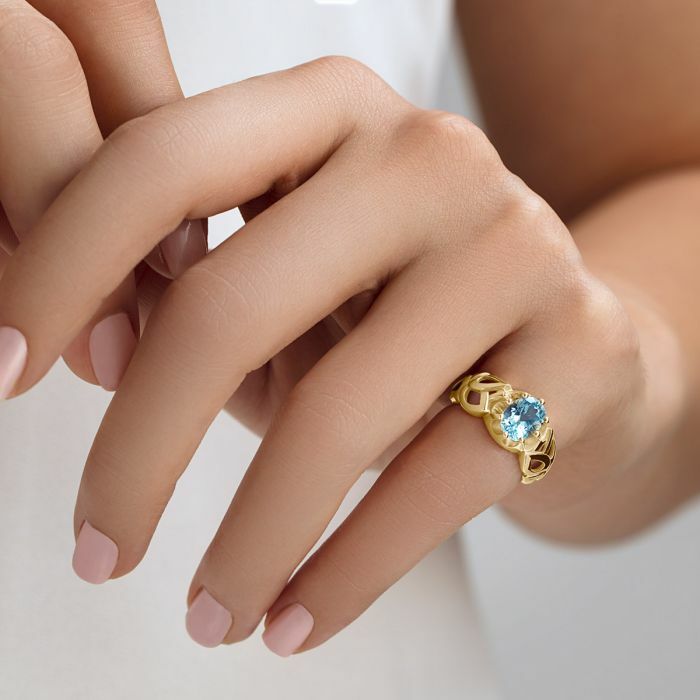 This piece is inspired by a traditional men’s ring.